All he wanted was to get the job done and somehow to endure those long months playing nanny to a spoiled little rich girl. Without strangling her with his bare hands in the process. Well, it is going to be much easier said than done. All she wanted was to escape the past and live like any other nineteen-year-old girl. 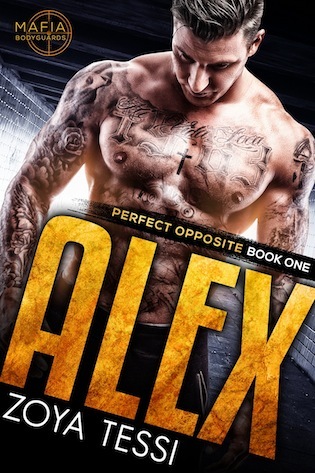 Her plan definitely didn’t include the arrogant, tattooed savage, with his awful mohawk hair and lack of social graces, whose only mission was to stick real close and mess up her life. Sign-up for the blog tour here! Zoya spent years doing volunteering work all across Europe, from cleaning school basements in Northern Russia to excavating Stone Age artifacts in Euskadi (the Basque country) and renovating castles from the middle ages in Southern France. She always dreamed of working with ‘Doctors without borders’ somewhere out in Africa, but ended up doing an ‘ordinary job’ in one of the smaller European countries.